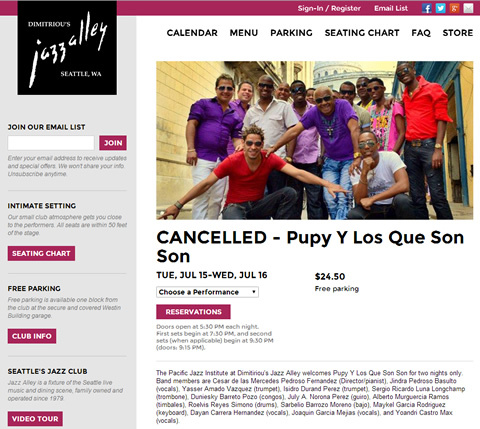 Pupy y los Que Son Son canceled in Seattle (Jazz Alley) & San Francisco (Stern Grove Festival) - sad news indeed that Pupy will not be playing at Dimitriou's Jazz Alley in Seattle, Washington, Tuesday and Wednesday July 15 & 16. His July 20 concert at the iconic and free Stern Grove Festival in San Francisco is also canceled. Que pasó Pupy? ...Llamo la atención de hechos como estos a todos lo que de una forma u otra se dedican con todo respeto a esta labor de llevar el arte y la cultura de nuestro país y si valoran y consideran con honestidad la valía de nuestros artistas por todo el mundo a fin de que no sean engañados ni manipulados por tales elementos que amparados en supuestas empresas artísticas y proclamándose representantes y promotores musicales, no son más que desfachatados buscavidas, estafadores , timadores y oportunistas de ciertas y determinadas circunstancias que enmascaran su verdaderas intenciones de aprovecharse de la demanda y el prestigio ganado con el sacrificio, talento, empeño y dedicación de los buenos artistas." Bamboleo's USA tour for this June with Mr. Somoza was also canceled after shows were booked and advertised (https://www.youtube.com/watch?v=-pg16f1GHO4). 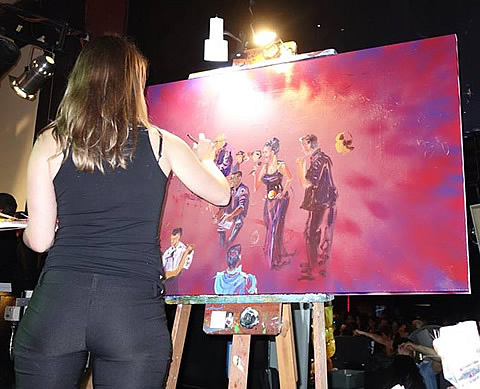 Miami prepares for upcoming Salsa Dura Album SALSANIMAL - After his Grammy winning homage to the salsa legends of the 1970's (RETRO - read Bill Tilford's review here), Marlow Rosado y la Riqueña will release their third album entitled SALSANIMAL on July 29. 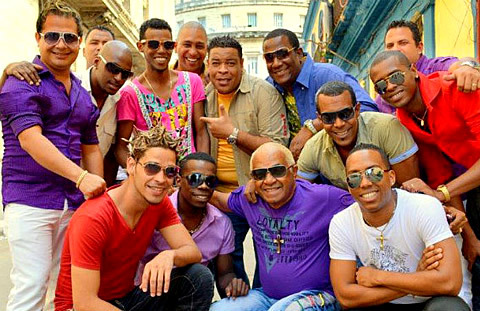 La Riqueña counts with Cuban musicians Guillermo Cobiellas (trombone) and Ivan Odio (trumpet). 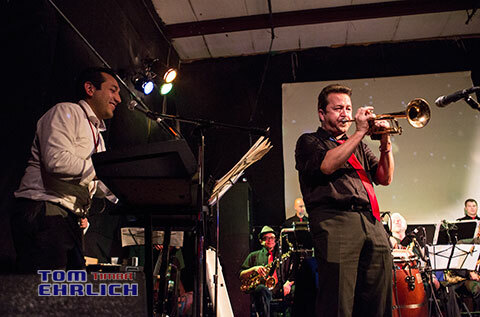 The original compositions feature Marlow's hard-hitting, salsa dura style -- including one dedicated to his home town and late father called "Cataño" -- with guest appearances from Premio Lo Nuestro Winner and Dominican singer Alex Matos, singer Domingo Quiñones, "el poeta de la rumba" Mayito Rivera, of Los Van Van fame, singer Hermán Olivera, singer El Checo Acosta from Colombia, pianists Larry Harlow & Richie Ray, Jon Secada and new rising star vocalist De La Torre. Here are a few videos covering the "making of" SALSANIMAL. Pupy y los que Son Son in Washington D.C. 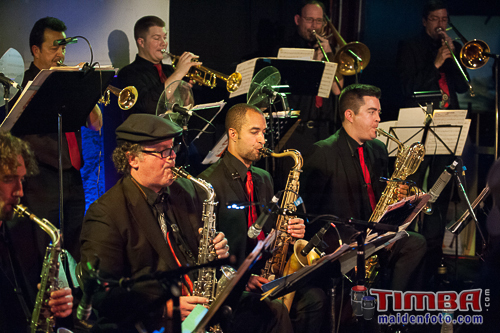 Here's Tom Ehrlich's photo gallery for Pacific Mambo Orchestra's standing-room-only March 22 celebration and their first San Francisco appearance after their Grammy(R) win for Best Tropical Album. 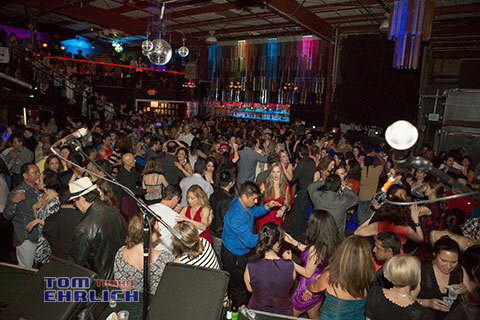 Thanks again to the Greater Bay Area Latin Music community for all their support! FYI the new bassist for the Pacific mambo -- Julio de la Cruz -- is a Cuban musician who played with Síntesis and toured with the Puerto Rican singer / songwriter José Feliciano. Adalberto Alvárez es pianista, compositor, arreglista y director de orquesta. "El Caballero del Son" es el título que se ha ganado por las antológicas innovaciones y aportes realizados a ese género tradicional y contemporáneo, resulta ser en la actualidad, el sonero cubano más versionado en el ámbito latino de los últimos 30 años. Su nombre completo es César de las Mercedes Pedroso Fernández, pero todo el mundo lo llama “Pupy”. Es compositor, arreglista, pianista y director de su grupo timbero "Los Que Son Son". 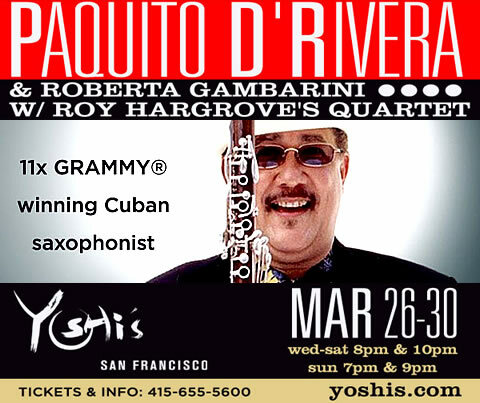 Paquito D’Rivera defies categorization. 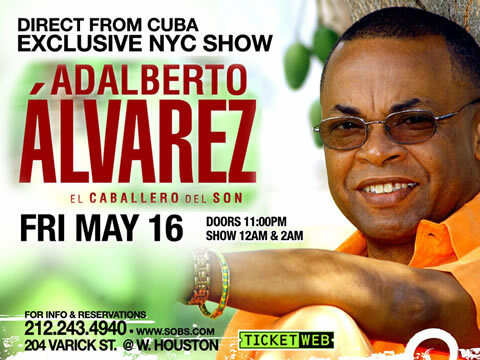 The winner of 11 GRAMMY® Awards, he is celebrated both for his artistry in Latin jazz and his achievements as a classical composer. 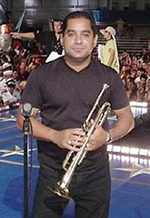 Born in Havana, Cuba, he performed at age 10 with the National Theater Orchestra, studied at the Havana Conservatory of Music and, at 17, became a featured soloist with the Cuban National Symphony. 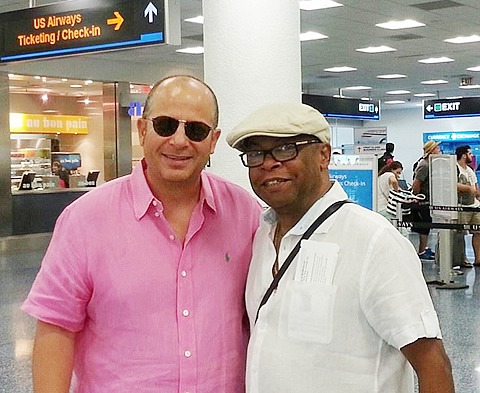 As a founding member of the Orquesta Cubana de Musica Moderna, he directed that group for two years, while at the same time playing both the clarinet and saxophone with the Cuban National Symphony Orchestra. 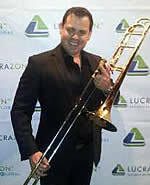 He eventually went on to premier several works by notable Cuban composers with the same orchestra. Additionally, he was a founding member and co-director of the innovative musical ensemble Irakere. 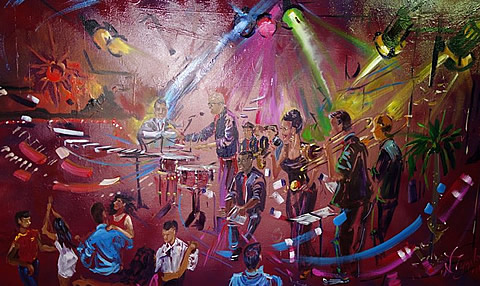 With its explosive mixture of jazz, rock, classical and traditional Cuban music never before heard, Irakere toured extensively throughout America and Europe, won several GRAMMY nominations (1979, 1980) and a GRAMMY (1979). 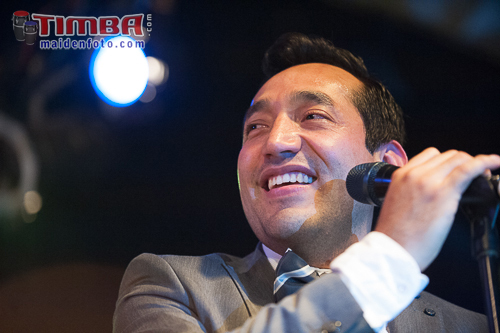 Visit Paquito's website here. PMO = (Lo Mejor) Para Mis Oidos.... What a night! 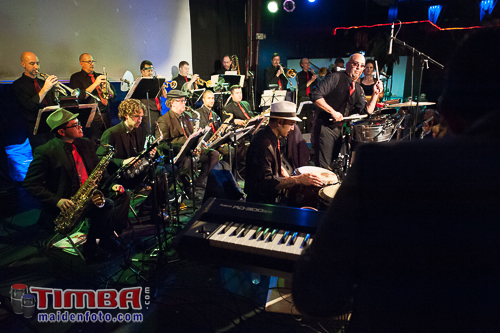 Standing room only at Café Cócomo celebrating Pacific Mambo Orchestra's first San Francisco appearance after their Grammy(R) win for Best Tropical Album. A full on smorgasbord of MAMBO and SALSA... free dance lesson by Jake Jacobs, the PMO joined by special guests Karl Perrazo (timbalero of Santana fame) and Armando Cordoba (Avance), special performances by 4 different dance groups, some crazy latina working me for half an hour asking for her money back because she had no room to dance (que pasó con el apoyo latina? - había una pila, pero una pila, de parejas bailando) DJ Hong and just an overall great feeling through the whole night. The PMO extended crew was also in full force -- the stamp police Christina Chang helping me make sure no one snuck in through the front exit doors (also thanks for the painting pics Christine) -- as people posed with directors Christian Tumalan (piano) and Steffen Kuehn (lead trumpet) and the band with their special autographed photos. Also a shout out to PMO F.O.H. sound engineer Jimmy Goings for the amazing sound. 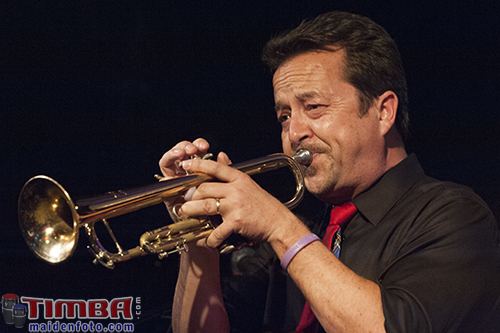 The next PMO show is Saturday, April 19 at the SF Salsa Festival 2014 (Westin San Francisco Market Street).